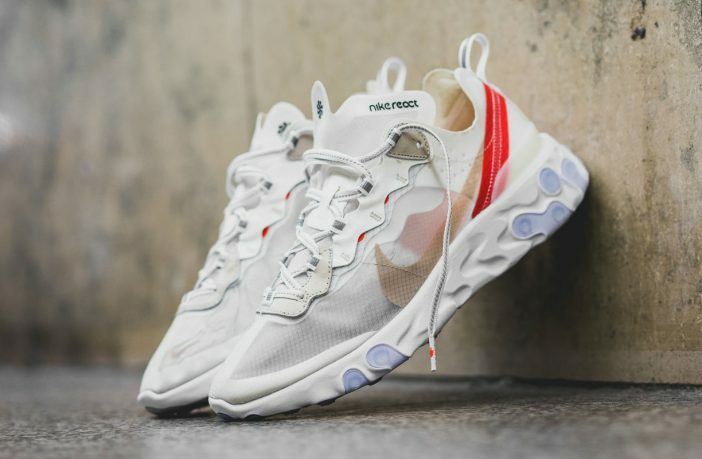 It looks like the chunky sneaker trend of yesteryear is back in full-force, as Nike has recently revealed their latest entry into their sports/lifestyle line, the React Element 87. 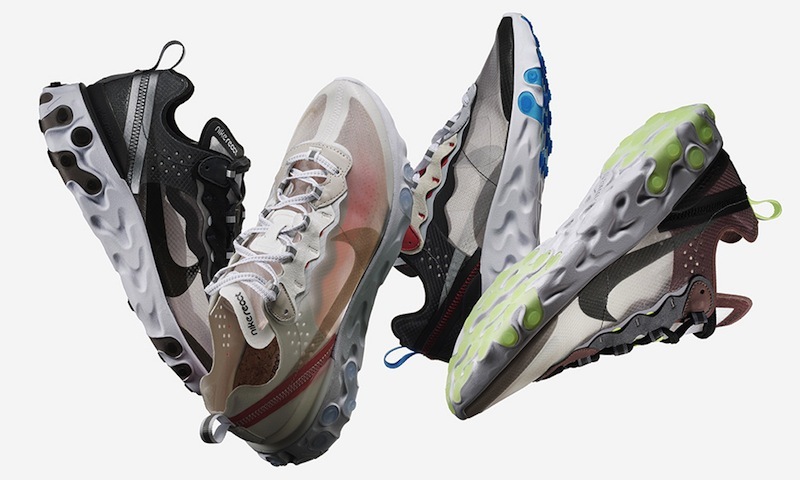 The new shoe is clearly inspired by the bulked-up runners of the 90s, but ones which take a lot cues from current sneaker technology and styling on offer today. 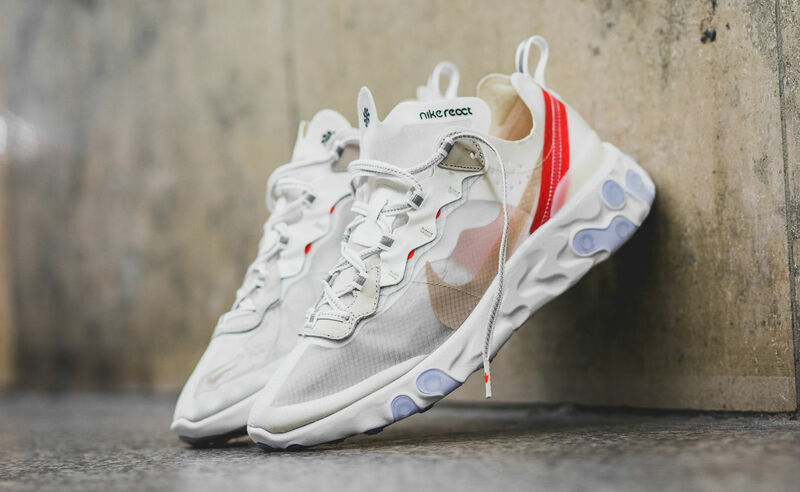 The old-school component comes in the form of its chunky sole and high-ankled upper that screams ‘dad-sneakers’ from years gone by. As for the new tech, it lies in the sole. Nike’s React cushioning technology features a high energy return foam, which actually first featured in Nike’s basketball shoes back in 2017. Because it generates an even higher return than Nike’s own Lunarlon soles, it was only a matter of time before React made an appearance in the brand’s running line. The Epic React is a dedicated runner that’s far more function than form and a what’s set to have a serious go at Adidas’ Boost technology (we’ll have to see about that, though). The soles are fantastic, but the upper shouldn’t be ignored, either. 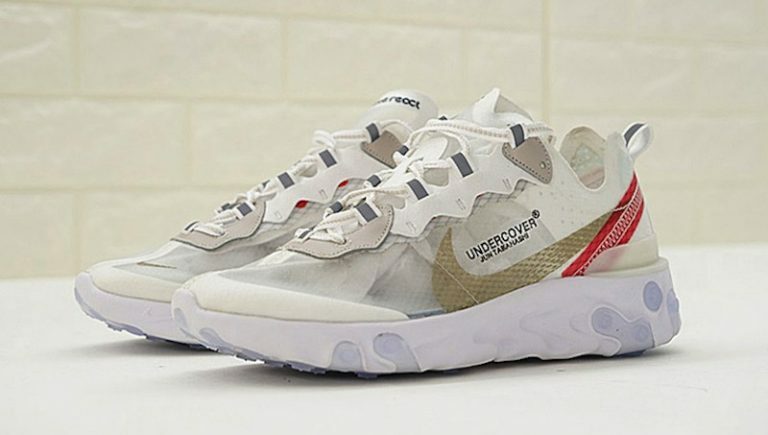 It’s a transparent fuse material that’s incredibly lightweight, making this a summer sneaker, with a set of colourways that will satisfy minimalists and those looking to break necks as you hit the street. Can you see yourself rocking these or is the 90s vibe just a touch too strong? Itching for new sneakers? Shop a wide range of Nike sneakers and clothing online via PriceCheck.